Remember the list of lemonade party ideas? Well this one needs to be added to the list. Right towards the top. If you want a lemonade stand at your party, or just to actually sell lemonade, Lisa will show you an easy way to create one with a table you already have and a couple pieces of wood. All done without harming the table. 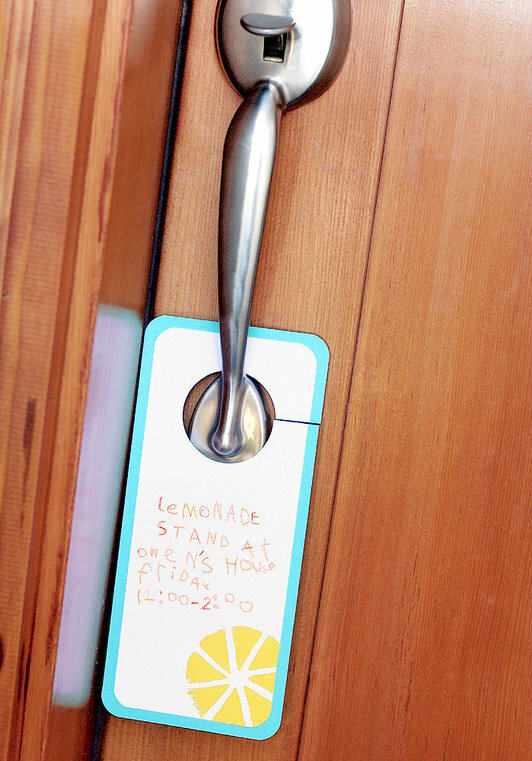 You can check it out (and the rest of this VERY CUTE lemonade stand) over at Fiskars. Seriously, she even shows you how to create the cute bow tie he is wearing in the picture. And a great way to spread the word to your friends and neighbors. And a dozen other cute things you need to check out. I love those little lemon aid pinwheel decorations! Adorable!! 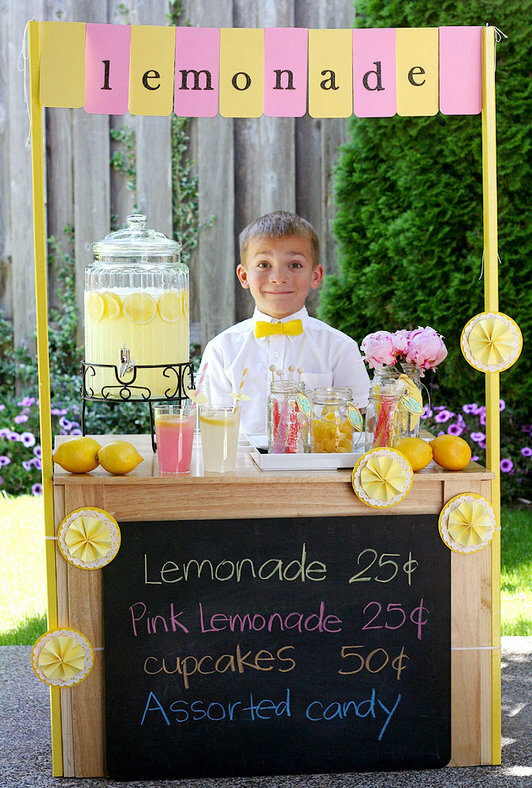 This has to be the cutest lemonade stand I have ever seen! wow that's one snazzy get up!